The 2018 Toyota RAV4 and the 2018 Nissan Rogue both offer a comfortable, safe, and powerful ride, but which has more to offer Indianapolis motorists? To answer that question for Avon and Plainfield area drivers, Andy Mohr Toyota did a side-by-side comparison of these factors. In every instance, we found just one of these crossovers consistently came out ahead of its competitor. Both the 2018 Toyota RAV4 and Nissan Rogue are stylish enough for a night out, but when it comes time to play, they play hard. The Rogue comes standard with a 2.5L 16-valve 4-cylinder engine that generates 170 horsepower and 172 lb-ft of torque. The RAV4 generates the same amount of torque with its standard 2.5L 16-valve engine but produces 176 horsepower due to its efficient dual variable valve timing with intelligence. When you hit the road for a weekend adventure, both SUVs have an impressive towing capacity. The Rogue can tow a maximum of 1,102 pounds when properly equipped. The RAV4 can tow a bit more, with a standard towing capacity of 1,500 pounds. 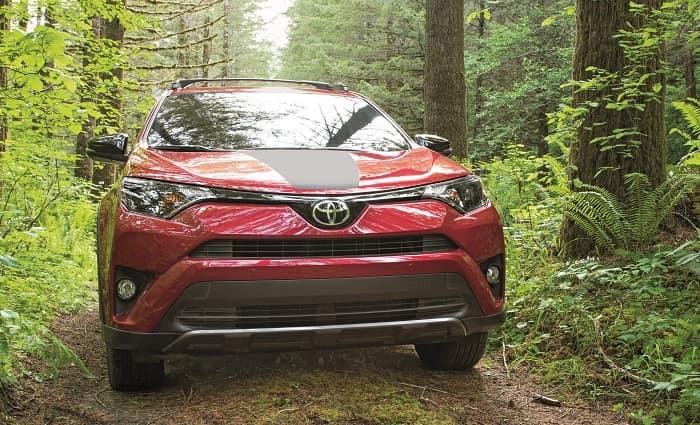 However, with the RAV4 Adventure trim, that towing capacity increases to a maximum of 3,500 pounds. when properly equipped. Most RAV4 trims come with Trailer Sway Control for an improved handling experience when towing. This isn’t a safety feature or a towing capacity you’ll find on the Nissan Rogue, so if you want to buy the big boat for your trips up to Lake Michigan, the RAV4 has more of the options you need. Whether you’re commuting to the office or hitting the trails, both the RAV4 and Rogue offer safety features that’ll get you there safely. These include an automatic cruise control feature that autonomously adjusts cruising speed when approaching a slower-moving vehicle on the highway. They also help to keep you on track with a lane departure system and improve visibility with automatic high beams. While both SUVs offer this kind of safety technology, drivers of the Rogue will have to upgrade to a higher trim level before it’s available to them. 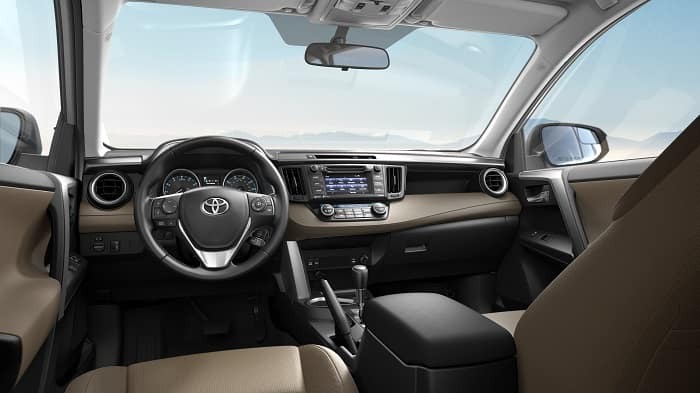 The RAV4 safety package, however, comes standard with Toyota Safety Sense™ P, so collision mitigation technology is built right into the base trim. When you hit the open road, neither the RAV4 nor Rogue interior make you pack light. The Rogue offers 70 cubic feet of total cargo volume. The RAV4, on the other hand, provides 73.4 cubic feet of cargo room—that’s a difference of approximately two standard-sized carry-on bags. It also works with Entune™ to enable voice-activation, so you can enter a destination without taking your hands off the wheel. The Rogue doesn’t make any comparable technology available without an upgrade to the top trim level, so drivers who choose not to upgrade may find themselves less informed while traveling to their destination. After comparing the 2018 Toyota RAV4 vs. Nissan Rogue, we found that the RAV4 rolled ahead on many of our comparison points. If you’re in the Indianapolis, Avon, or Plainfield areas, contact Andy Mohr Toyota to schedule your test drive of the 2018 RAV4 today.